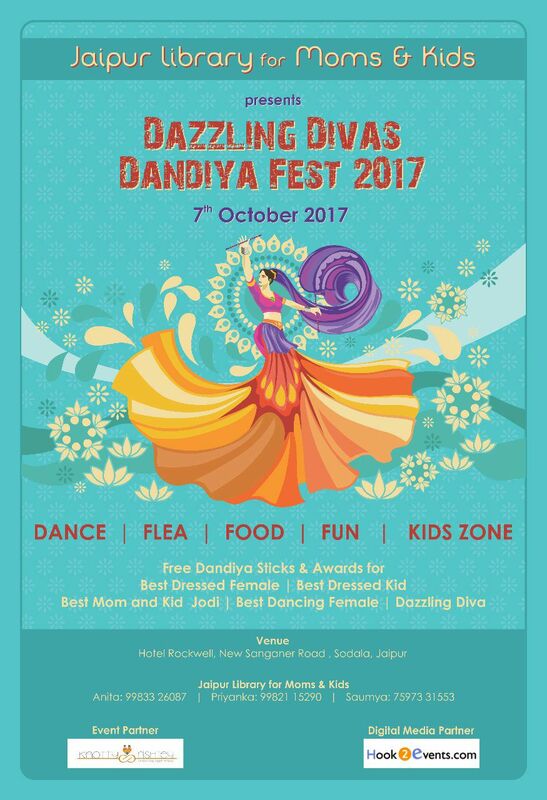 Jaipur Library for Moms and Kids brings an exclusive "ladies dandiya fest-2017" an eve before "karwachauth"
towards bringing together girls and moms fromdifferent backgrounds and giving them an opportunity to mingle up and make new bonds. A platform to increase awareness towards babywearing . volunteers in the specifically designed Kids Zone.